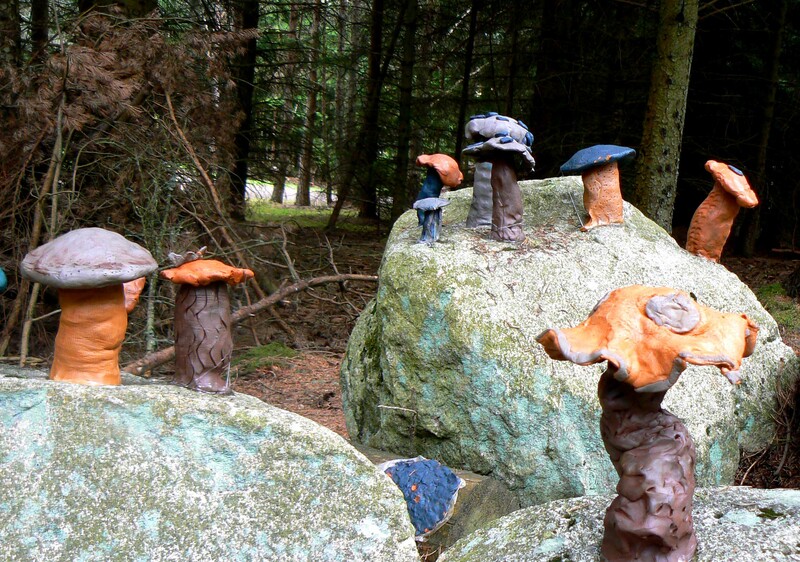 We were lucky to have a couple of nice days for our first “Bennachie Woodland Wander” sessions. 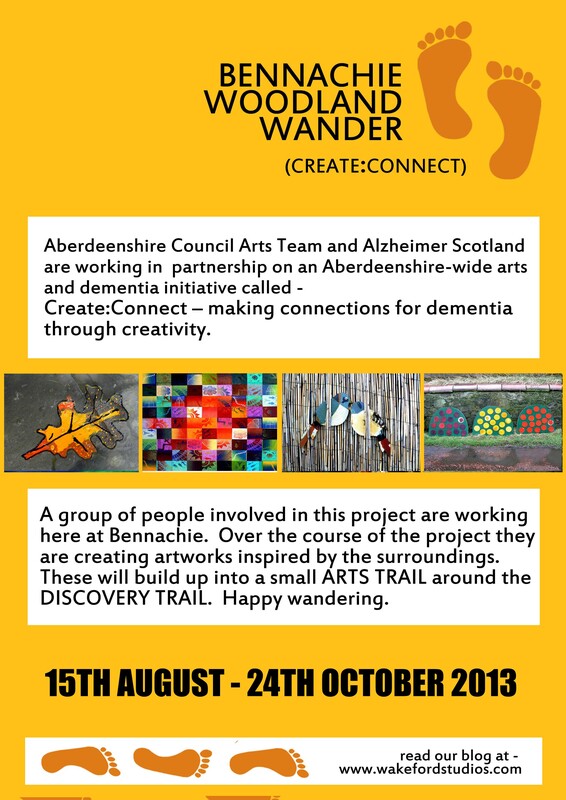 The project is part of a Aberdeenshire wide arts and dementia initiative called – Create:Connect – making connections for dementia through creativity. 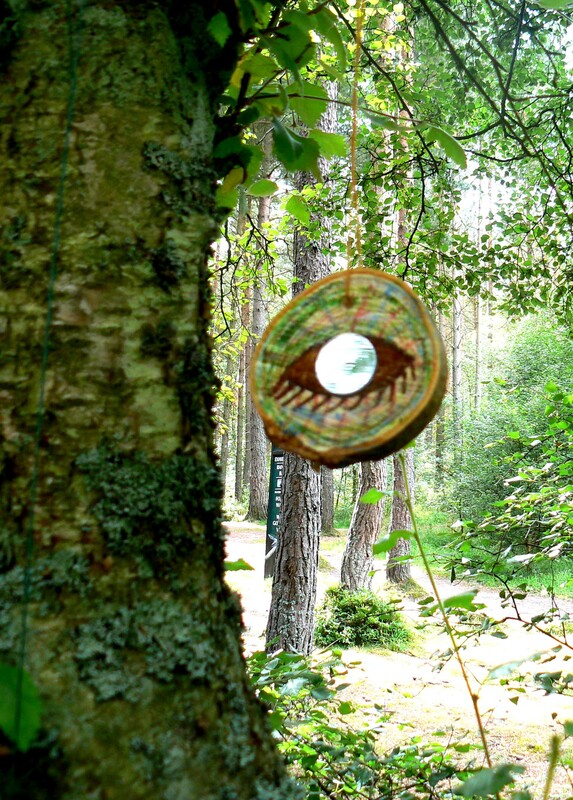 My idea for this project was to get people out and about and enjoying the surroundings. I wanted each workshop to be a little outdoor adventure. I will be introducing new techniques and materials each workshop to keep it fun and interesting. There is an emphasis on a social, friendly and relaxing atmosphere rather than any pressure to create finished artwork. 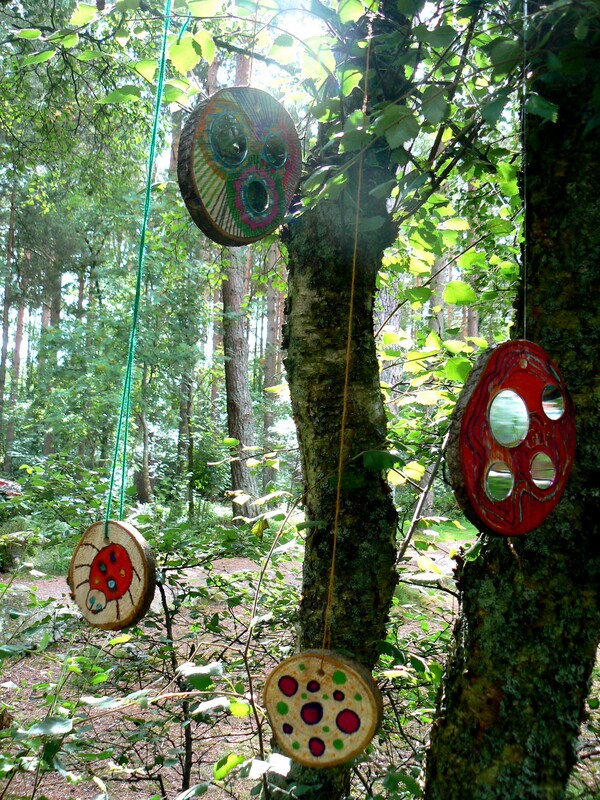 The first adventure was to use wooden slices, paint pens and string to create an artwork for the forest, then find a suitable place to display it. 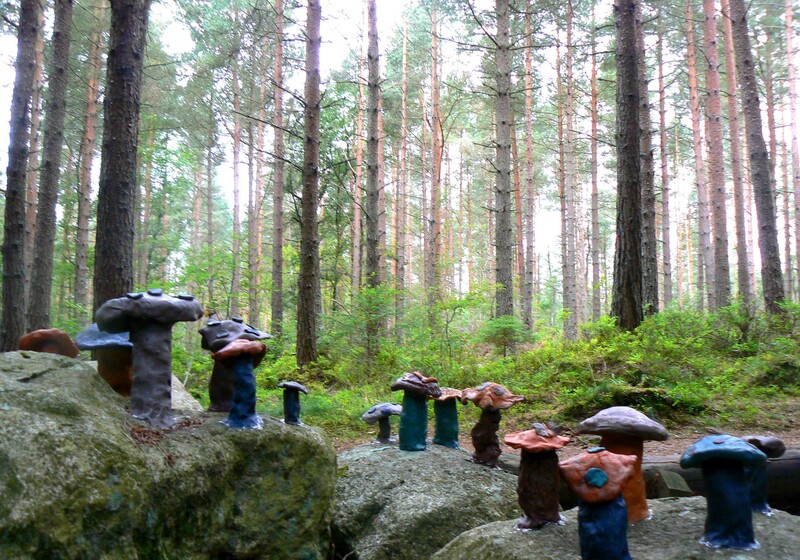 The next challenge – Use clay to create woodland mushrooms.